Raising chickens can be a great way to keep fresh eggs around the house year-round. If you are new to chicken raising and caring, experiencing a hen that won't leave the nest can be disconcerting, but rest assured that this is only normal "broody" behavior for a hen who wants fertilized eggs and there is a way to break her of it. Is your hen seemingly glued to her nest, refusing to get out of the coop and play in the yard with the other chickens? Has she stopped laying eggs? Put your hand under her while she's on the nest. Is she resistant or even a little hostile? Does she puff up her feathers and cluck at you? If so, it seems that your hen wants to be a mother. In the absence of a rooster to fertilize her eggs, she might be a little upset. Lock your hen out of the nesting area. Give her food and water, preferably tied to the ground, and isolate her from her nest and egg-laying area. If other hens are picking on her, you might want to fence off a separate area for her, but make sure she can't get out or back to the nest. She will be a disgruntled hen, but stand your ground. After seven days, try letting her out. If she goes immediately back to the nest, pull her out and keep her in her new area for another three or four days and try letting her out again. Do not leave her to herself until she ceases her dependence on the nest. 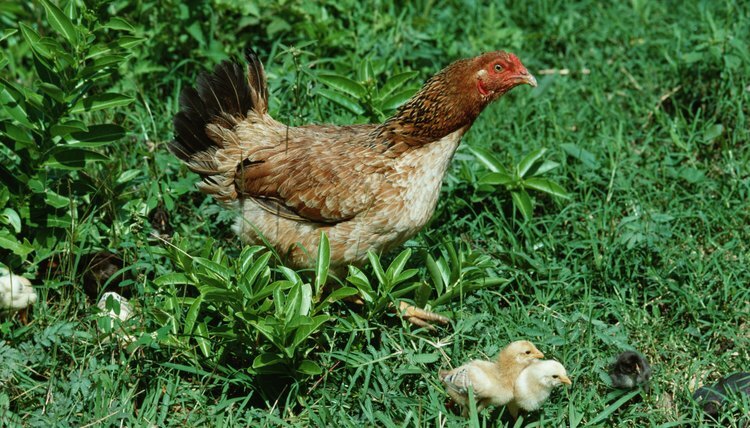 If your intention is for her to hatch some eggs and you do not have a rooster, you can easily buy fertilized eggs at a hatchery (see Resources). Place them in the nest, under your hen. She will know what to do from here. Leave her on the nest while the chicks hatch. Even if not all the eggs have hatched, your hen will know when she's done. The unhatched eggs might be rotten and she has left them there for good reason.